Since it was first produced more than sixty years ago, N. Richard Nash’s “The Rainmaker” has aged into a kind of blanket statement on the condition of being an American. In the twenty-first century, the connection is just tenuous enough to make the play’s themes feel—for lack of a better word—timely. The drought in California, the ongoing fight for women’s rights, and the ever-present desire to believe that things can get better are all reflected in the play’s polished surface. Though there isn’t anything to dislike here, conversely there isn’t much to really love either. This characteristically generic play is redeemed by American Blues Theater’s production of it. Coming on like a frontier George Michael, Steve Key’s snake-oil salesman intends to exploit a weakness and winds up encouraging faith in something greater. His seduction of the perpetually petrified Lizzie Curry (Linsey Page Morton) upsets the natural order of the Curry house. The formerly dominant voice of reason, her elder brother Noah (Vincent Teninty, doing double duty as the fight choreographer), is drowned out by a chorus of equally passionate men encouraging Lizzie to raise her expectations. With his inimitable booziness, Bob Breuler’s Sheriff generously offers gallons of levity, which the audience eagerly lapped up when I saw it. 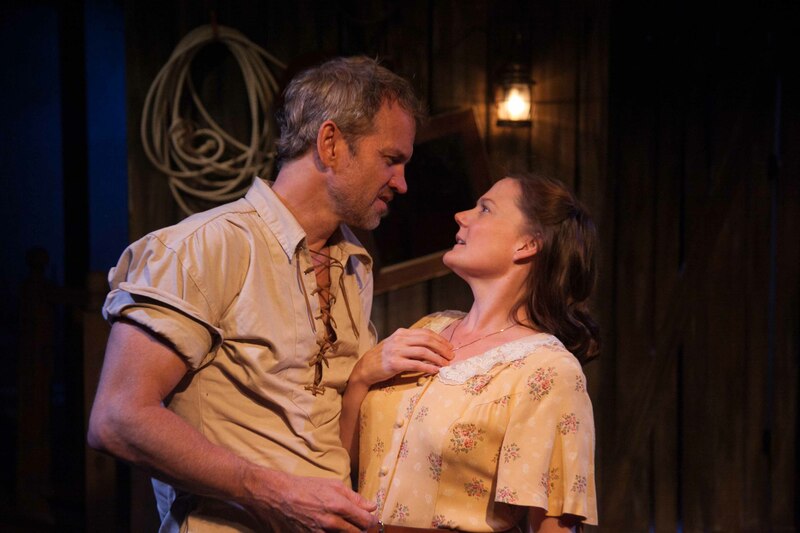 While “The Rainmaker” can sometimes come off as folksy, the play’s prominent figures—Key, Teninty and Morton—keep the drama grounded, though Morton offered the evening’s only flawless performance. The conviction she possesses in her deeply conflicted character will hopefully serve as an example for Howie Johnson and Matt Pratt, who have a tendency to under and overplay their respective roles. American Blues Theater at Greenhouse Theater Center, 2257 North Lincoln, (773)404-7336, americanbluestheater.com, $29-$39. Through September 27.